How to Apply for Royal Danish Air Force Academy in 2019. Royal Danish Air Force Academy… The Royal Danish Air Force Academy provides training about military leadership and management, which make their academy students fit to carry out military operations in the air, they will be teaming up as Air Force officers. They study courses as such as Political Science, with particular concentration on defence and security policy. They’re tutored on modern ways of leadership both theoretically and practically and are trained thoroughly in the capability to lead, in everyday life as well as in dire situations – in Denmark or outside. The Air Force’s duty is to manage the military and civil safety in the Dermank’s airspace by watching the airspace. They also manage the marine environment and help in rescue operations at sea, with transportation duties etc. The Air Force also finds solutions to tasks internationally, where they assist with transportation aircrafts, Fighters, transportation helicopters and surveillance radars equipments. The Officer Education contains branch-specific basic officers’ training programmes. It aims to develop the best commanders and leaders for either the Danish Army, Navy or Air Force. There are 2 ways to enroll into the Officer Education: an external for those that possess a bachelor’s degree from a university or college, and an internal for those who have already served in the armed forces as non-commissioned officers and hold a degree from the academy. As far as the internal route is concerned, it is not just an option for non-commissioned officers, who may want to become officers. It is also a way into the diploma for young people who do not wish to take a bachelor’s or professional bachelor’s degree, but who would like it as an option during their time as non-commissioned officers. A focused career along this path would take about one year longer than the bachelor’s route. How long the program last varies depending on the 3 branches. Certain programs are shorter, while others are longer depending on the students’ entry qualifications. Non-commissioned officers with academy profession qualifications would, for instance, not need to complete the preparatory military training program, and students with a shipmaster’s certificate will complete a shorter preparatory officers’ program in the Navy’s tactical strand than those recruited from the cadre. The Air Force Officer Education tutors the cadets in military command and control, in order to be prepared for the military air operations he or she has to lead as an officer. The program includes subjects such as political science, with a particular focus on security and defence policy and modern management principles in theory and practice. The Air Force Officer Education has four service specific program: Air Battle Management, Logistics, Ground Support and Force Protection and Pilot. The pilot program fluctuates in time depending on the type of aircraft. The pilots study partake the diploma modules as their operational service allows, but they must be completed all modules within two years. Applicants must have a relevant bachelor’s degree or a professional bachelor’s degree. Applicants must be certified fit by a competent health authority to partake in the rigorous routines of military training and activities. When you have been accepted into the Royal Danish Air Force Academy, you would move to the student position. Applicants with have a relevant bachelor’s degree or a professional bachelor’s degree would enter the officer program at the basic officer training. While if you have NOO with academy qualifications would enter the Officer Program stage at the vocational courses. At the Officer Program stage, there are three successive levels which are the Basic officer training level, the vocational courses level, then the Military Diploma level. After the Military Diploma level is successfully passed, is becoming a Royal Danish Air Force Officer by entering service. The Royal Danish Defence College of which the Royal Danish Air Force Academy is under is providing higher education continuing professional education courses available first to, workers of the Danish Defense. Of all the courses offered, the Master in Military Studies is the sole Danish research-based master’s program within the military studies category. 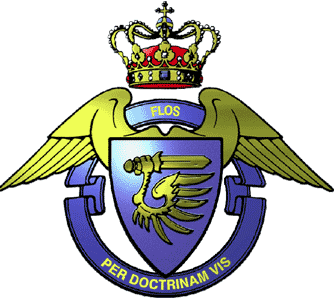 Visit the website of Course in the Royal Danish Air Force Academy for more.